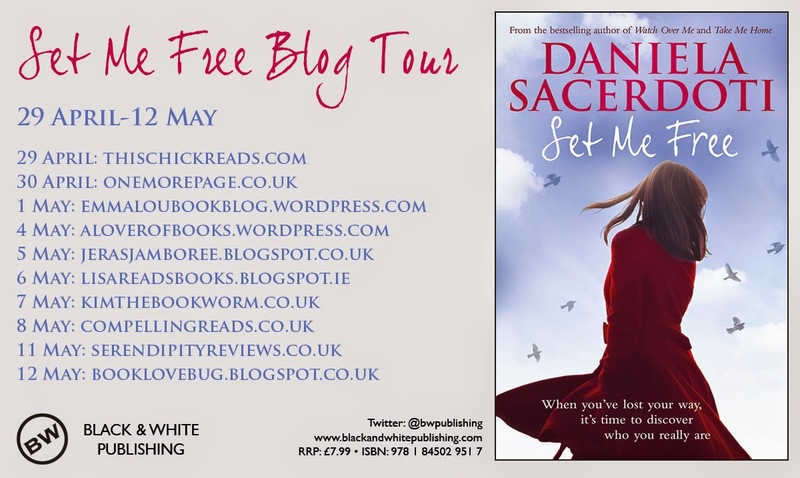 Daniela Sacerdoti is a woman in demand! I just managed to pin her down to find out where she writes. At the end of the post, I've included my review of Set Me Free, Daniela's latest book for adults. My books are a bit like mushrooms, they can sprout up anywhere! I’m a truly nomadic writer. I have a lovely little office, which I share with the washing and the ironing board, and it’s cosy and cute. But, sadly, since my husband recently went back to university, he’s been using it the most. While I have an uncanny ability to concentrate anywhere, even with the TV on and with the children playing all around me, he needs perfect silence, so I was booted out of my office! To be fair, though, I was hardly ever there... I have a small laptop that I tend to use absolutely everywhere – on the sofas, in bed, at the kitchen table – I think it comes from when the children were very young and I needed to be either in the same room with them or very close by. Now that they are ten and seven we can easily be in different rooms, but I still carry the laptop with me all over the house and occupy whichever space takes my fancy that particular day. In London, Margherita’s marriage has slowly been falling apart since her little Lewis’ birth, a surprise baby much wanted by her but not by her husband. To add to her problems, her adopted daughter, Lara, is going through a rough patch and all of a sudden she’s gone from quiet and introverted to constantly angry, burdened by the unhappy memories of her early childhood. Then Margherita’s husband, Ashley, suddenly announces he needs a break from the marriage and from family life. He couldn’t have chosen a worse time, just when Lara needs him most. As Margherita struggles to come to terms with what’s happening to her, she decides that maybe this is the chance for Laura to spend some time away from London, and for her mother and daughter to reconnect. So, together with three-year-old Lewis, they decide to spend the summer in Glen Avich, where Margherita’s mum and stepfather have opened a coffee shop, La Piazza. To keep herself busy, Margherita agrees to help Torcuil Ramsay get his crumbling estate in order, with Lara’s help. And as her plan begins to work, Lara increasingly finds peace in the beautiful house and its huge library, and in a new friendship with a mysterious local boy, Mal. And as Margherita discovers, Glen Avich can have a strange effect on people and soon her heart is reawakened by shy, awkward Torcuil in a way she’d never thought possible again. But Mal is hiding a secret, and the summer won’t last forever . . .
Margherita is facing her future as a single mother. Following her own mother to Glen Avich, with her troubled adopted daughter, Lara, the magical little village soon works it's charms on them, bringing unexpected romance and happiness for both. While in Scotland, Margherita reignites her love of cooking, producing mouth watering Italian delights, which the publisher have kindly recreated in a little booklet, free to download on their website. Lara is my favourite character, especially as we get to witness her flourishing desire to be a writer. She has that Anne of Green Gables quality to her, where she can see the beauty and the innocence in everything, yet still have the modern teenager attitude. 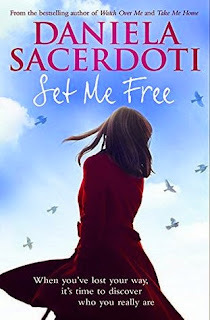 I'm always excited to read a new book by Daniela Sacerdoti . 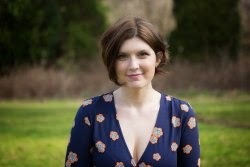 She is one of those writers that needles her way into the heart of her character's emotions, making you feel like you have a vested interest in their lives. Daniela's three standalone adult novels have all been set in the stunning surroundings of Glen Avich, convincing me that the place has a Brigadoonish feel to it. She weaves magical realism through harsh reality, giving the reader hope that there is more to life than what they see. I come away convinced that if I just turn around quickly enough, I might catch a glimpse of a loved one, long departed from this world. This is a really easy book to read and definitely one for the summer. An ideal book for fans of Sarah Addison Allen and Alice Hoffman, showing that UK authors can write magic too.